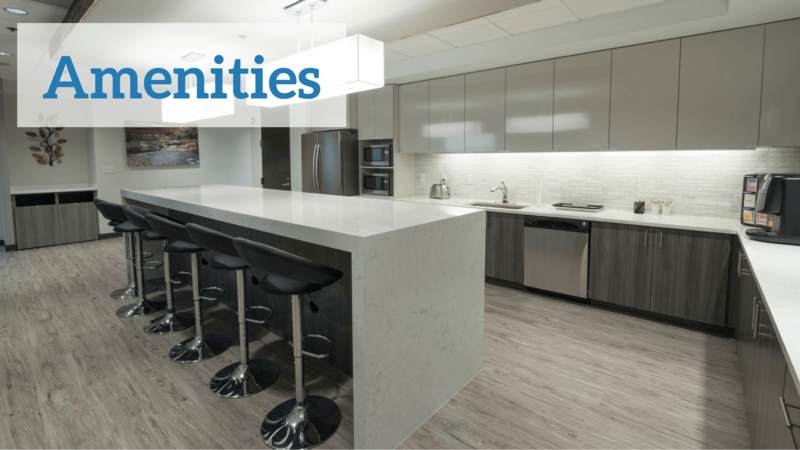 Amenities that make you want to come to work every day. 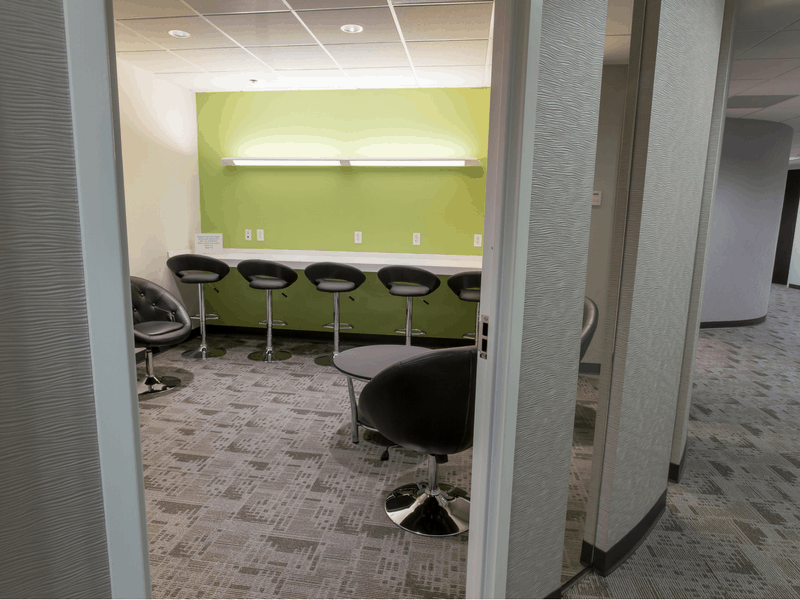 During ExecuSuite's recent renovations, our team wanted to create an environment where we, and our clients, would want to come to work every day. 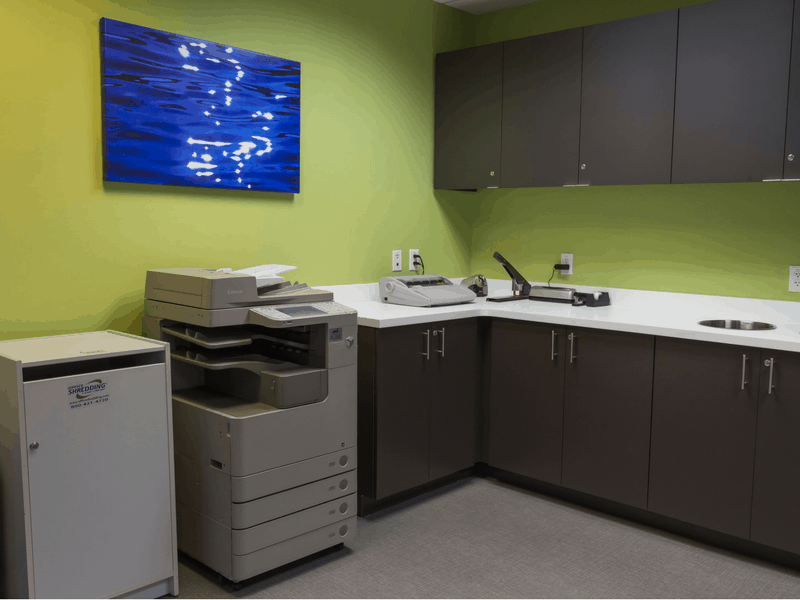 We feel we accomplished this with the amenities we provide to you around your office. 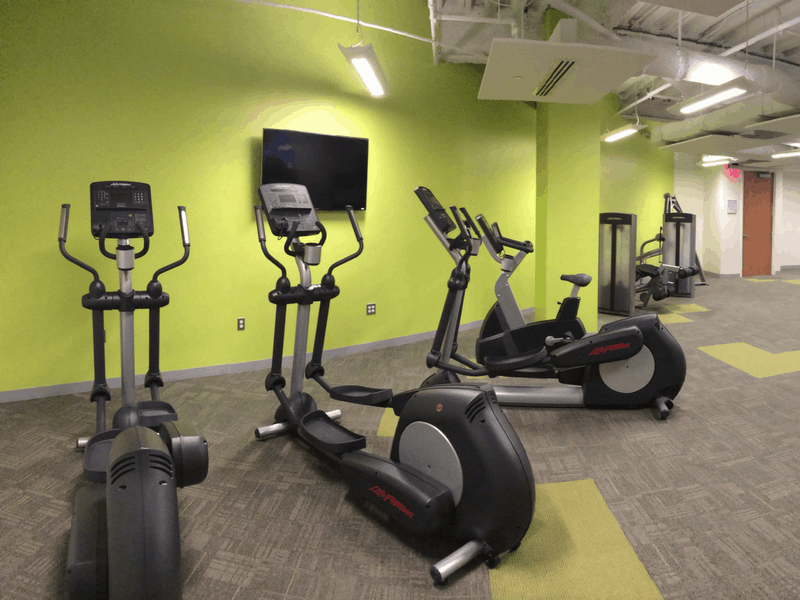 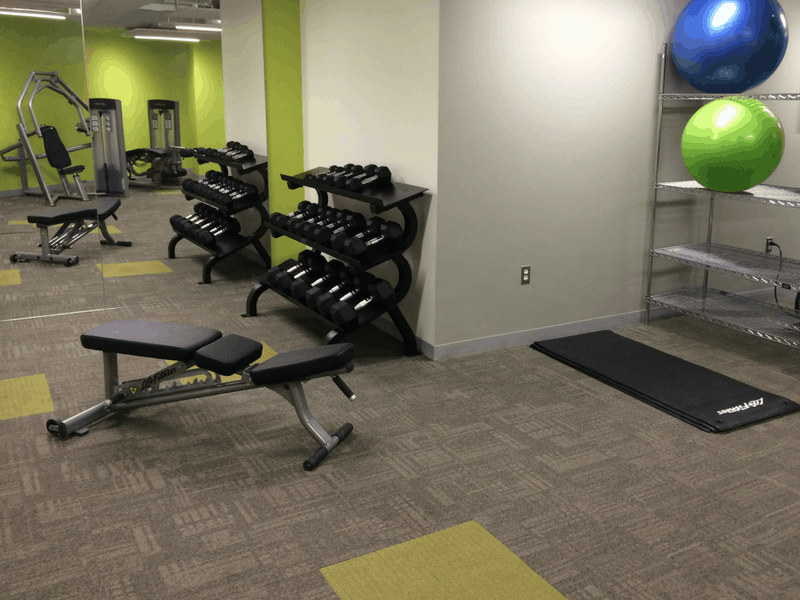 In our building there is a fitness room (available to in-house clients) and cafe to provide on-site breaks in your day. 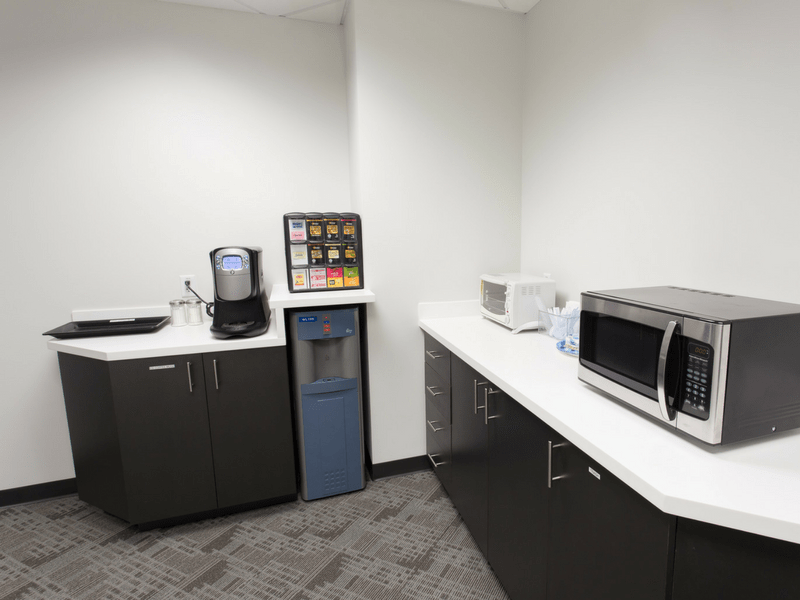 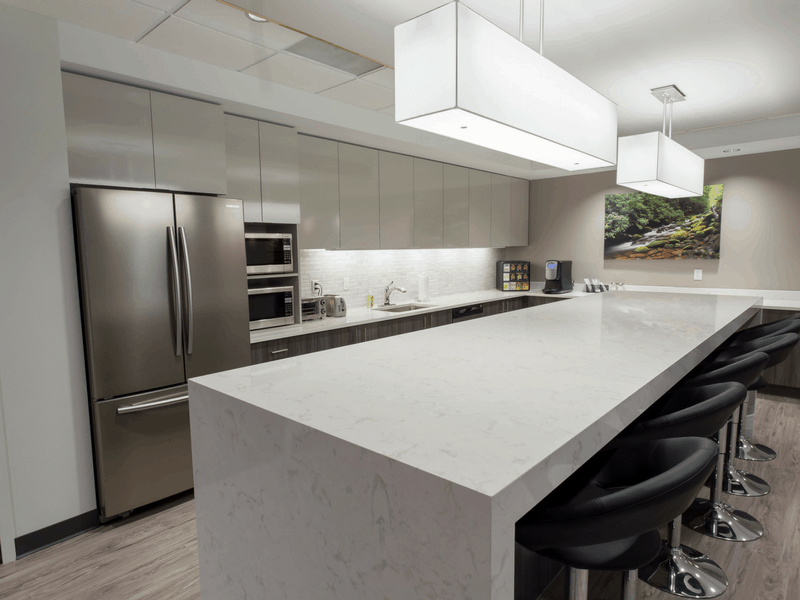 We have multiple kitchens and break rooms for you to enjoy. 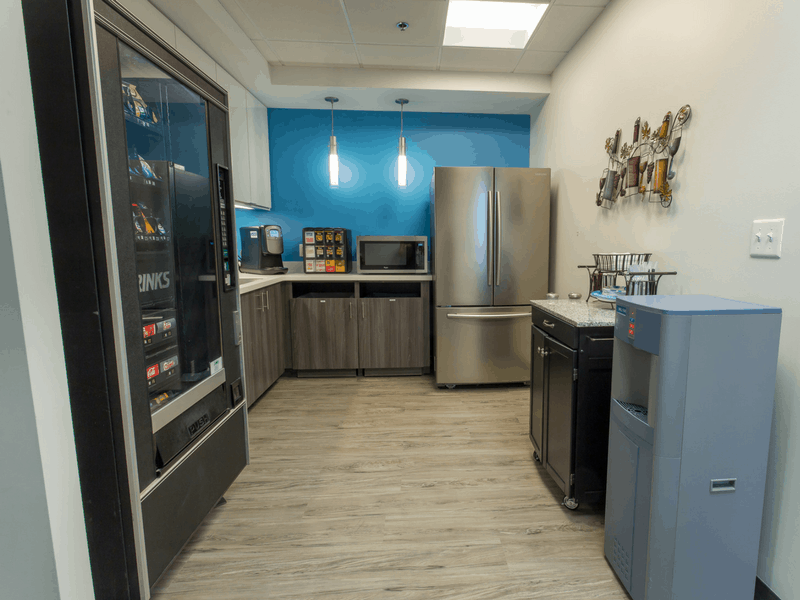 We encourage you to take our virtual tour so you can see our facility, or look below to see more of what we provide to you. 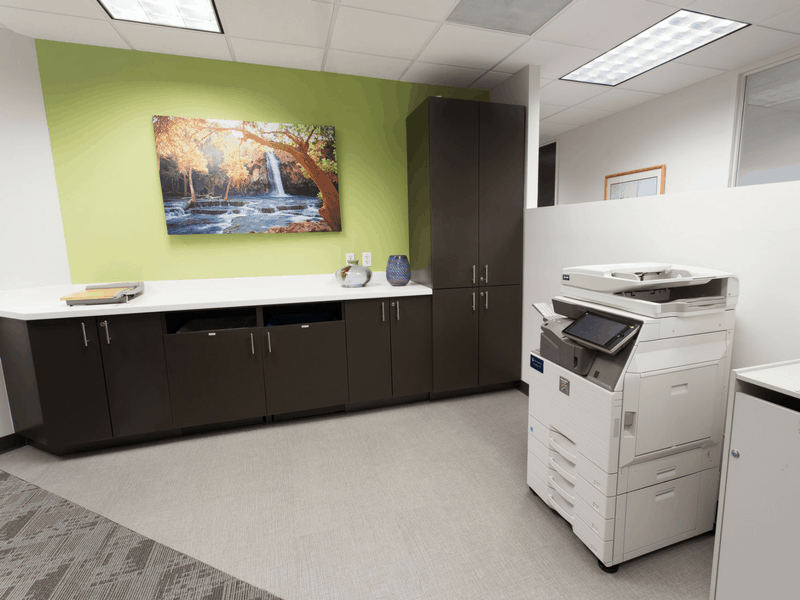 Miscellaneous office equipment, including hole punchers, typewriters, staplers, etc.